I can help the Earth by... Mobile Writing Craftivity 2 versions: one with picture prompts and one without Students will fill out out three hearts, telling how they can help the Earth, color the Earth pattern and hang the hearts with yarn or string to create a cute mobile! 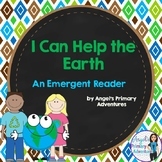 Emergent Easy Reader: "Earth Day: How Can I Help the Earth?" •Printable useful for things like Earth Day, recycling, science, etc. •Students can think of ways to help the earth through the ideas of "reduce, reuse, and recycle"
I Can Help the Earth! 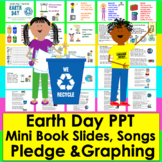 this file includes an emergent reader that identifies different ways kids can help the earth. 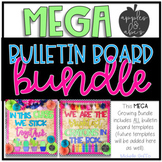 The last page is a statement page where students can either cut and paste an image to indicate what they will to do to help the earth or draw their own. A class book option is also included in this file. This book can be used for a variety of things. Guided Reading (preparing the sight word cards) Independent work Practice for the students to then make their own book. 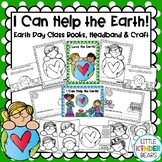 Knowledge and awareness Earth Day activity This package comes with sight words and an 8 page copiable book. I hope you enjoy! 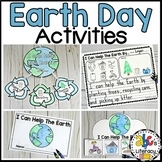 Have fun teaching students how to take care of our planet by celebrating Earth Day with this writing activity! Reposted! 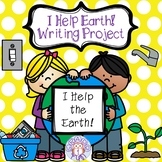 This "I Can Help" reproducible student book allows children to write about ways they can help keep Earth clean and healthy. 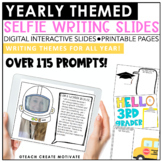 Each page features graphics that give students ideas. Look for Karen Mitchell's "Hooray for Earth Day" environmental unit coming soon! Have your students write a story about planting a tree in sequence.